You can have your own customized, personalize football. Now you can make sports…personal. You bought, now name it. 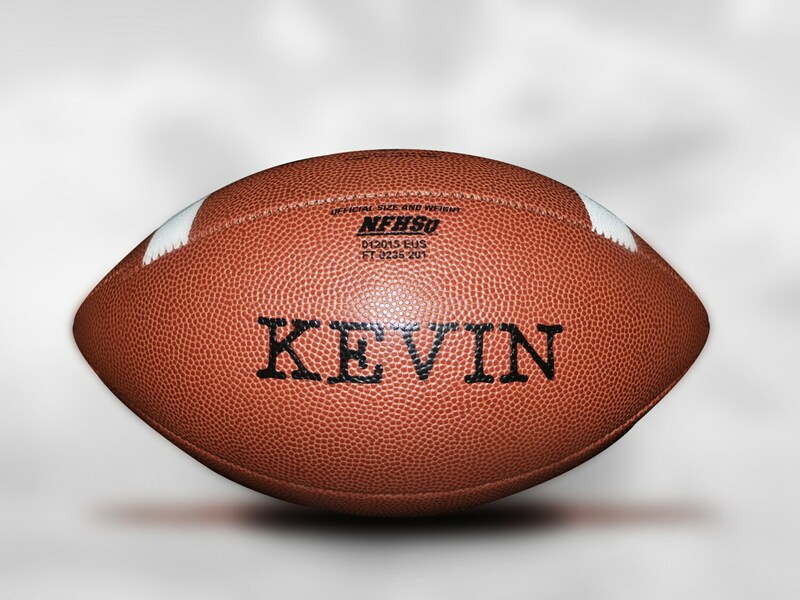 We can transform your football and customize it with your own text. Let everyone know who's ball it is. Having your own customized sports balls has never been so exciting and fun! Now you can stand out among the competition and make a statement! All balls are made equal, but not anymore. You can make sure your ball stands out. Personalize your ball and there will be no mistaking who ball it is. You think it, we design it. The price is for the ball and one text. Any additional texts will be an additional cost.